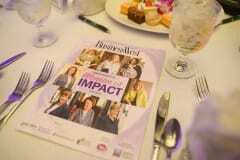 More than 400 people turned out at the Sheraton Springfield on Dec. 6 for BusinessWest’s inaugural Women of Impact luncheon. 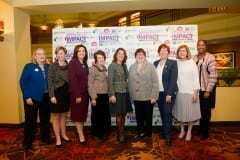 Eight women were honored for their achievements in business and with giving back to the community. Massachusetts Lt. Gov. Karyn Polito attended and offered remarks on subjects ranging from advancements in STEM education to a host of bipartisan efforts at the State House. Springfield Mayor Domenic Sarno also offered remarks. The keynote speaker was Lei Wang, the first Asian woman to complete the Explorers Grand Slam. BusinessWest’s chosen Women of Impact for 2018 know what it’s like to surmount challenges, tackle huge obstacles, and clear bars they’ve set very high. As they receive their awards on Dec. 6, they and a gathered audience of friends, family, and colleagues will hear some motivational words from someone who’s done all those things in a very literal sense. Indeed, the keynote speaker for the Inaugural Women of Impact Awards will be Lei Wang, the first Asian woman to climb the highest mountain on every continent and to ski to both the North and South Poles. Wang, who earned a bachelor’s degree in Computer Science from Tsinghua University in Beijing, an M.S. degree in Computer Science from University of North Carolina Chapel Hill, and an MBA in Finance and Marketing from the Wharton School of the University of Pennsylvania, was on track for a promising career in information technology — until she discovered her passion for mountaineering in 2004 and set her dream on reaching the peak of the world’s highest mountains on seven continents and skiing to the North and South poles. With no previous athletic training, she started with running, from one mile to a marathon. She built her basic fitness foundation and learned the craft of climbing from scratch. She gave up a normal life to dedicate herself to this undertaking and overcame many physical and ideological challenges with her commitment and determination. 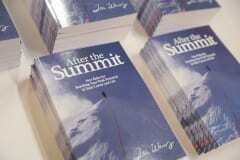 Her remarkable journey culminated at the top of Mount Everest on May 24, 2010. 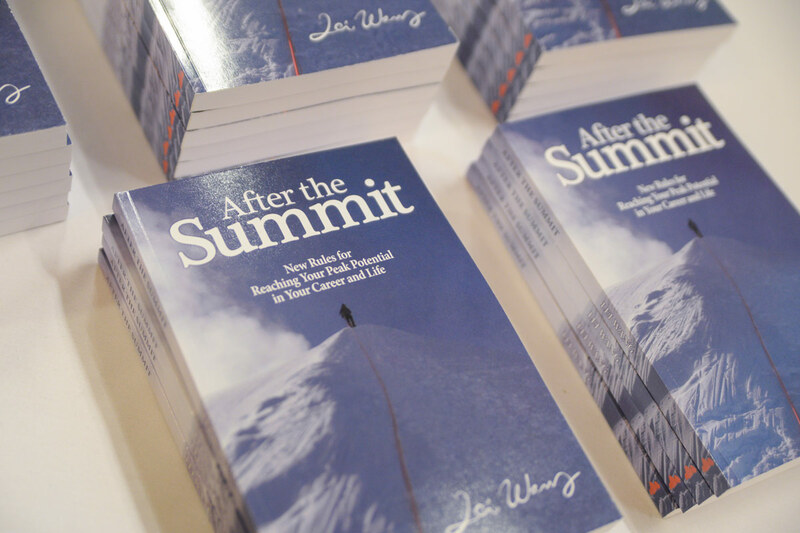 With that climb, she became the first Asian Woman to successfully reach the world’s seven summits and two poles. 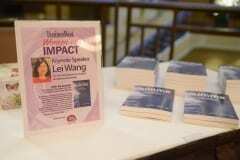 Wang now shares her reflections and experiences in front of a wide range of audiences as a motivational speaker. 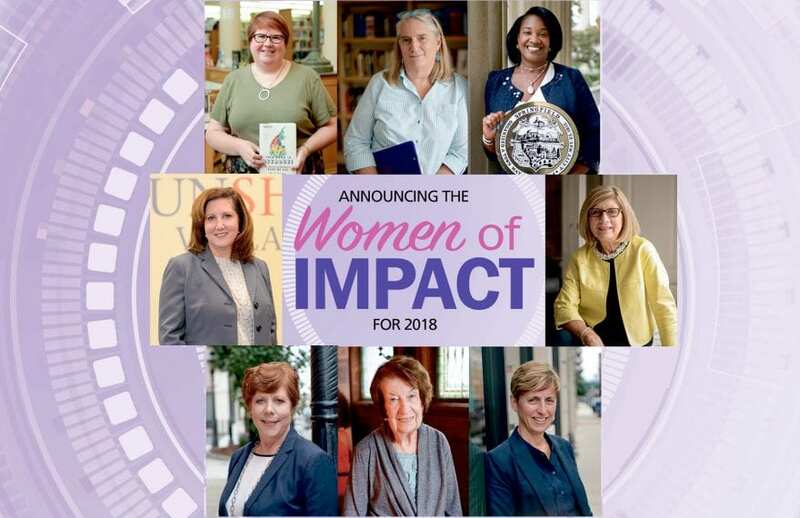 At the Dec. 6 event at the Sheraton in Springfield, she’ll be sharing the day with eight women who have reached the pinnacle of their chosen profession, but who have also devoted their lives and their careers to finding ways to give back to the community. 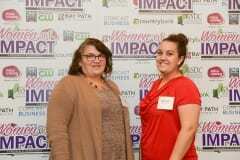 That’s why they’ve been chosen as Women of Impact, with the emphasis on both women and impact. The awards luncheon will begin at 11 a.m. with registration and networking. 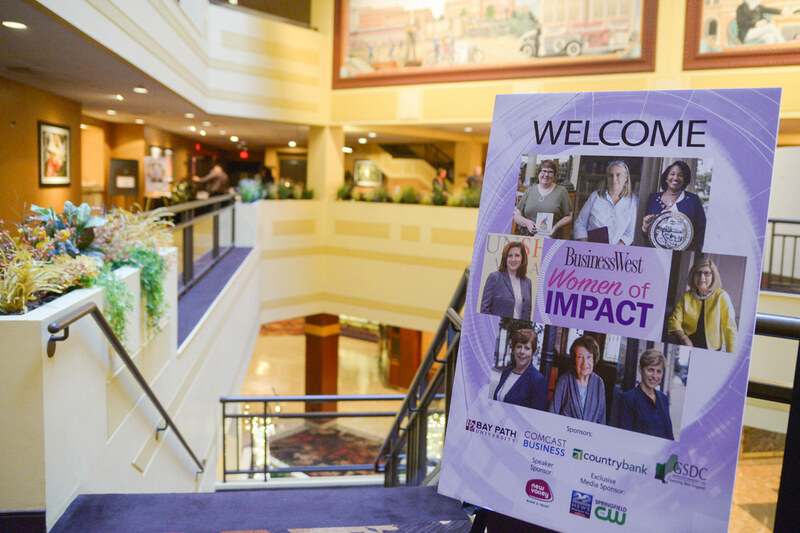 Lunch will begin at noon, followed by the program and introduction of the Women of Impact by Kate Campiti, associate publisher of BusinessWest and Healthcare News and Tamara Sacharczyk, news anchor and I-Team reporter for WWLP-22 News. 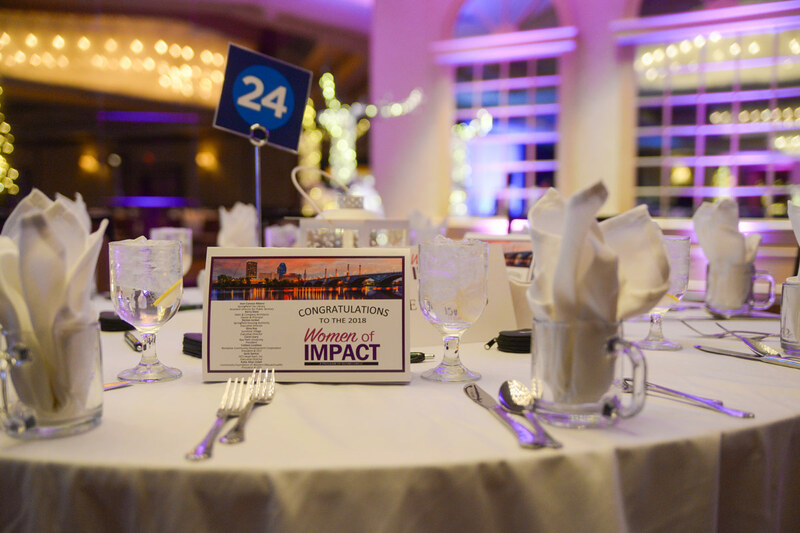 The Inaugural Women of Impact is sponsored by Bay Path University, Comcast Business, Country Bank, and Granite State Development Corp, with media sponsor WWLP-22. For more information or to purchase tickets, call (413) 781-8600, or go HERE. Jean Canosa Albano says she’s been called an ‘honorary Latina,’ not once, but on a number of occasions. That’s not an official title by any means — there’s no plaque or certificate to this effect, obviously — but it might be the honor, or designation, she’s most proud of. That’s because, while she’s not Hispanic in origin, she speaks Spanish — she’s studied it here and abroad — and has therefore made thousands of non-English-speaking visitors to the Springfield City Library more comfortable and better able to utilize its many resources. 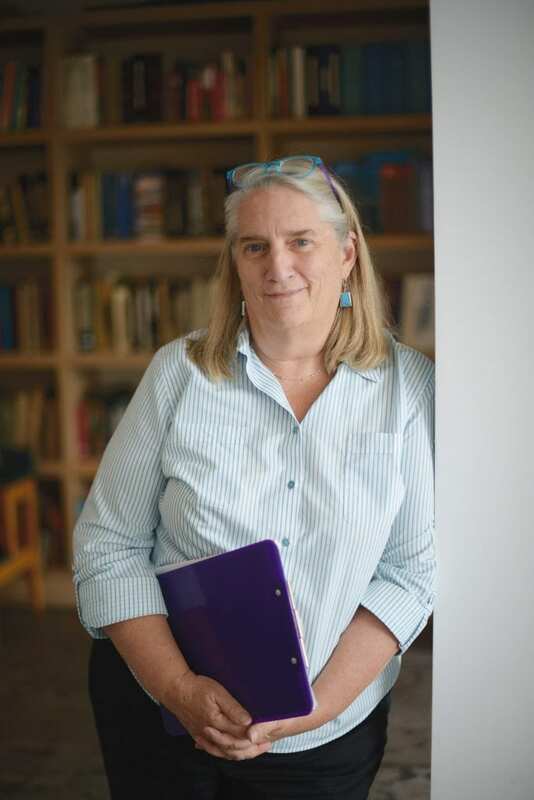 More importantly, though, she has advocated for that constituency — and in many ways become part of it — during a lengthy career devoted not only to library science but to community building and community involvement. A few weeks back, Albano again led a contingent from the Springfield City Library marching in the annual Puerto Rican Parade through downtown Springfield, something the library has done the past several years. It’s a symbolic step and an indicator of how the institution, and especially Albano, have taken great strides, literally and figuratively, in efforts to serve that constituency and connect it with resources. But service to the Hispanic population is only one chapter, albeit an important one, in the story of Albano’s career spent with the library — and as someone committed to being involved in the community and inspiring others to get involved. Examples of this mindset abound, from her participation in the Reading Success by Fourth Grade initiative to Gardening the Community; from summer learning groups to the Young Professional Society of Greater Springfield. With that last one, she acknowledged that maybe — that’s maybe — she’s not exactly in the target demographic group. But she saw a group with an intriguing mission and another opportunity to help strengthen the community through her own involvement. 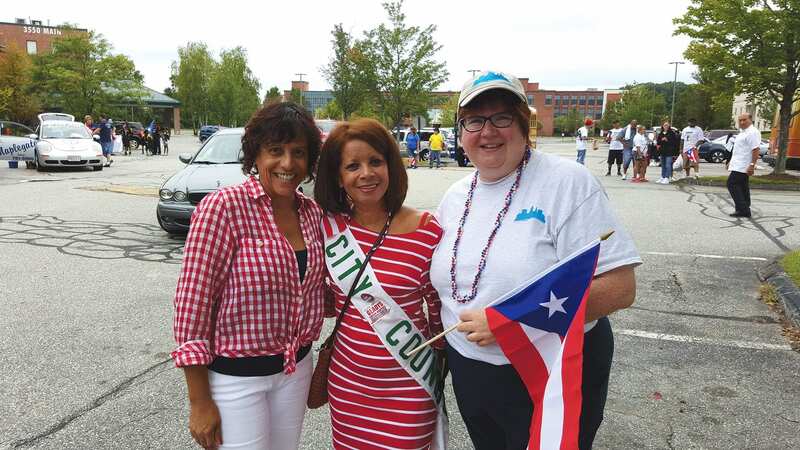 Jean Canosa Albano, right, with friends Maria Acuna, a Realtor, and Holyoke City Councilor Gladys Lebron, at the 2015 Puerto Rican Parade. As she said, she’s been making her own invitations and getting involved. And while doing that, she’s always looked for new and different ways to help others get involved and help them develop professionally — especially women and minorities. Which brings us to “My Beloved Springfield,” a women’s leadership panel and information fair she created. 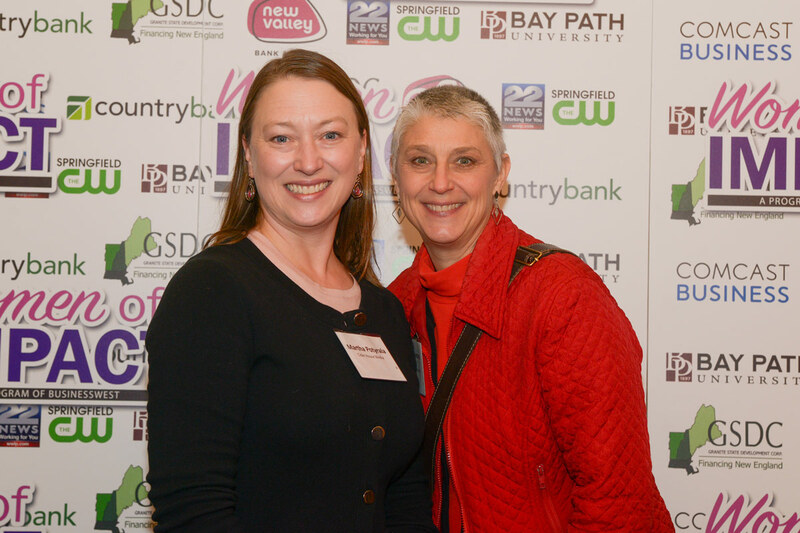 The most recent edition, staged last spring, featured a host of speakers discussing the paths they took to leadership positions, including Springfield City Councilor Kateri Walsh; Arlene Rodriguez, a senior advisor for the Mass. Department of Higher Education; and others. 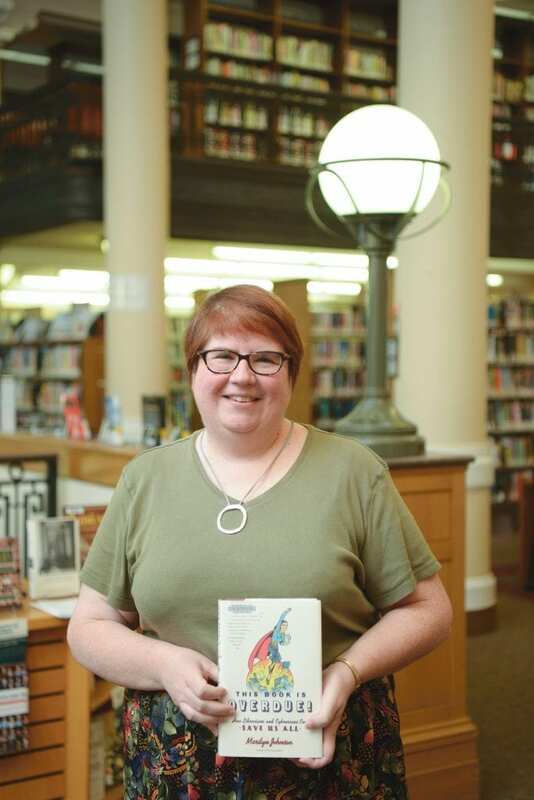 Looking back on her career, Albano said her command of Spanish has created opportunities for her — when she entered a poor job market in the mid-’80s, it helped her land a job with the Springfield City Library. And in many ways, she has dedicated her career to creating opportunities for others. As we explore the many ways she has done that, it will certainly become clear why this public servant, who keeps writing new chapters to her story of involvement, is a Woman of Impact. It was as a library associate with the Brightwood branch in the city’s North End neighborhood, heavily populated by Hispanics then and now. “I remember saying to my mother, ‘I think this is a job I can do and that you would love,” Albano recalled, adding that her mother wanted to get into library science after high school, but was hindered by the cost of higher education. Turns out, she came to love it herself — not only the job, but working with and on behalf of the residents of that neighborhood. Indeed, while Albano moved on from the Brightwood branch — she came to the central library in 1989 — she has continued to build those bridges, taking her service to the community far outside the library walls, while also making that institution a welcoming and responsive resource for city residents. In her role as assistant director for Public Services of the libraries, she wears a number of hats — as well as an ‘Hablo Español’ button. She’s involved with a variety of human-resources functions, including hiring and recruiting, and as she recruits, she’s looking for individuals who embody what she calls a ‘turned-outward attitude’ with regard to the institution and how it must function. Albano acknowledged that, overall, the library’s role within the community has changed somewhat over the past 30 years, and so have the duties of those who work there. She can recall working on the reference desk decades ago and fielding a wide range of questions from callers who couldn’t simply Google things when they needed the answer to a pressing question. She remembers fielding queries on everything from stock prices on a specific date to the ISBN (International Standard Book Number) for specific titles so people could order them (now, they just go on Amazon) to Dr. Seuss and his history in Springfield. Today, while there’s still a reference desk, the librarian spends less time behind it, and the questions are generally much different than those of a generation or two ago. “People will ask how they can upload their résumé to a specific site, or how they can tell if a website is legitimate,” she told BusinessWest, adding that today, libraries, while still storehouses of books and information, are more community hubs than anything else. When the Springfield City Library created a number of outreach teams several years ago, Albano was assigned — actually, she assigned herself — to lead the civic and community-engagement team. The key word in that phrase, of course, is engagement, she said, adding that the group focused on connecting people with their city and getting them involved with government and the many issues impacting the community. “A lot of people feel disconnected, and we wanted to do something about that,” she said, adding that, through partnerships with the Springfield Election Commission, the Secretary of State’s Office, the League of Women Voters, the Women’s Fund, and other groups, the library has helped stage ‘meet the candidates’ events and other informational programs. Like “Slots, Pot, Veal, and Schools,” an intriguingly titled program focusing on the four ballot questions for last year, dealing with casinos, marijuana, animal welfare, and charter schools. In recent years, the library has coordinated a host of other programs, including one on how to run for office and what it’s like to serve in an elected position, she said, adding that 30 or even 20 years ago, it is unlikely that the city library would have been involved in such matters. Today, though, as part of its changing role, the institution is acting as (or much more as) a connector and a convener. And Albano has been at the forefront of many of these efforts, especially with the Hispanic population and other often-underserved constituencies. The Hispanic population is now quite large in Springfield, said Albano, adding that, in the public schools, at least 60% of the students are Hispanic. These numbers demand attention, she went on, adding that institutions across the city, including the library, need more than people on their staffs who can speak the language — although that certainly helps. They need people who can connect with that population, advocate on its behalf, and connect people with resources. The city’s response, and the library’s response, to the needs of those impacted by Hurricane Maria is a good example, she told BusinessWest, adding that staff members there helped with everything from attaining a library card to figuring out where to receive help with insurance matters, and host of other issues. “We were always thinking about ways to make a stressful time, a very traumatic time, less stressful,” she said, adding that thousands of refugees came into this region, and most all of them needed help on many levels. 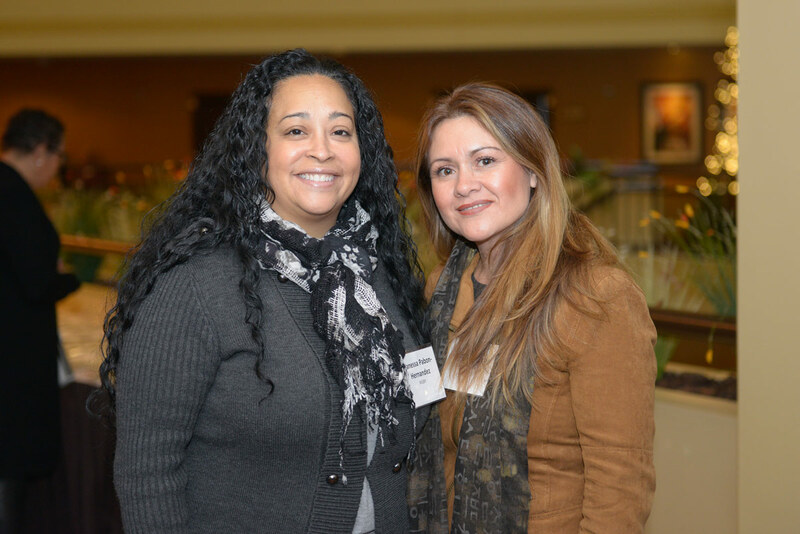 While the Hispanic population has been a primary focus of Albano’s time and energy, so too has been the subject of leadership and helping others develop those skills. Which brings us, in a roundabout way, to Sonia Sotomayor’s historic visit to Springfield in 2015 as part of the Springfield Public Forum, an opportunity Albano said she ran with. Indeed, she was able to obtain multiple copies of Sotomayor’s book in English and Spanish and set up a book-discussion group. She was also able to help arrange a meeting with the justice, the nation’s first of Hispanic descent, prior to her talk. Sotomayor’s book is titled My Beloved World, and it, and the justice’s visit, inspired Albano to launch “My Beloved Springfield,” a now-annual program that brings in women leaders to tell their stories and lead a moderated discussion. It’s simply one aspect of her broad efforts to help foster the next generation of leaders for this region, a role she takes very seriously. As noted earlier, Albano hasn’t had to bring too many lawn chairs with her during her career. Indeed, she’s been given seats at a number of tables. But she has invited herself to get involved on many occasions and in many ways, bringing the community into the library and the library into the community while doing so, and strengthening both. Thirty years after taking a job her mother would love, she has come to love everything about it, especially the many forms of outreach. She loves those almost as much as being called an honorary Latina. Kerry Dietz taught it at UMass Amherst, her alma mater, several years ago. This was a one-off of sorts, she told BusinessWest, adding that there was a critical mass of students interested in this material — which amounted to insight and instruction not on how to design structures, but rather on how architects could and should become leaders within their communities — and circumstances haven’t permitted her to teach it again. But while that class is no longer in the catalog, ‘architect as leader’ has been a course of action for Dietz — and those who have come to work for her over the past 30 years or so. It’s a phrase that defines her career more than any building or office interior she’s designed, and it explains, better than any other three-word phrase we can find, why she is a Woman of Impact. 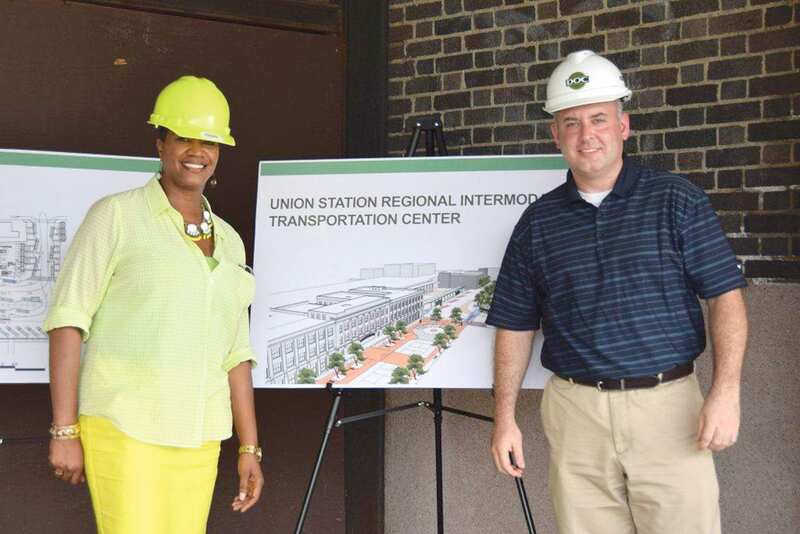 Examples of this mindset abound — from her time spent on the Springfield Planning Board and Zoning Board of Appeals to her company’s involvement with several area nonprofits, from Revitalize CDC to Habitat for Humanity, to her decision to locate her growing company in Union Station at a time when that massive project was fairly desperate to land a high-profile tenant. 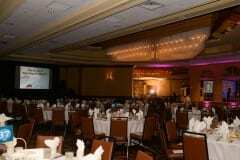 And then, there was the company’s 30th birthday party. Rather than celebrate with a cake or maybe lunch on the town, the employees at Dietz & Company, as a group, decided to use that occasion to give back within the community, in a big way. She took that number 30, added three more zeroes, and put a dollar sign at the front. And then, she and her team set about finding appropriate ways to bestow that amount on members of the community. 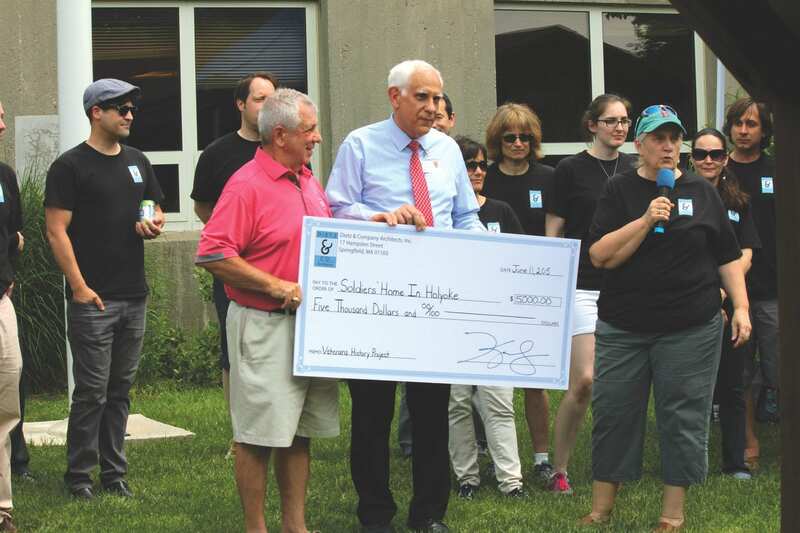 Throughout the course of the year, a cookout was hosted by Dietz & Company staff for veterans of the Soldiers’ Home in Holyoke, and a monetary donation was made to assist with the home’s Veteran’s History video project. Also, a monetary donation was made and staff members volunteered their time to help make repairs to the home of a low-income Springfield resident as part of Revitalize CDC’s Green-n-Fit Neighborhood Rebuild. And $25,000 worth of materials and projects were funded for Springfield teachers through a competition in which initiative and impact were honored for educators going the extra mile to help and encourage the success of their students. It was Dietz’s concept, but it was a company-wide effort. But Dietz has never waited for round-number anniversaries to become active and get herself — and her firm — involved. And in doing so, she has become not only an employer, but an inspirational leader, role model to those in this profession, and mentor. While doing all that work within the community, Dietz has established herself within the field of architecture, one long dominated by men. She owns one of the largest firms in the region, and has carved out several strong niches, especially in affordable housing and education. 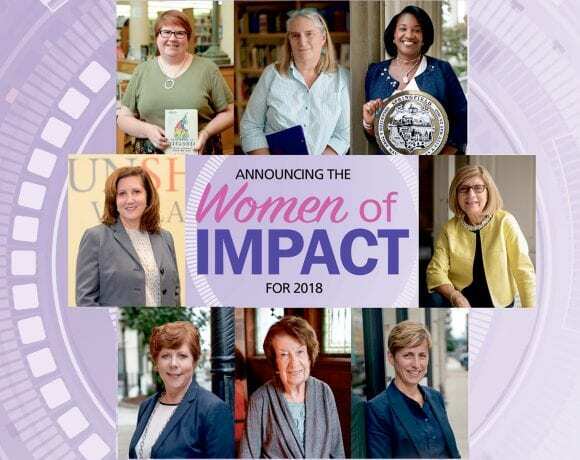 It is this combination of excellence in her field and career-long designs on finding ways to strengthen the community that has placed her in the inaugural class of Women of Impact. Deitz traced the ‘architects as leaders’ concept — as a college course but also the M.O. for her career — to a summit she attended in the early ’80s that was hosted by the American Institute of Architects. It was memorable because it was not what she was expecting. Kerry Dietz, right, presents a donation to the Soldiers’ Home in Holyoke as part of her company’s 30th anniversary celebration. Several staff members are in the background. And because of their training and the collaborative nature of their work, architects have quite a bit to offer, whether they fully understand that or not, she went on. “If lawyers think they can run the world, and captains of industry think they can run the world, well … how about architects?” she asked rhetorically. “We receive an incredible amount of training on how to take a whole bunch of dissimilar thoughts and ideas and listen to a whole group of people, and pull it all together and create a building. And even before that, a vision of a building; it’s all really about listening to people and synthesizing all that. “These are core skills the world needs,” she went on, adding that a commitment to putting these skills to work has guided her firm, not only in its design efforts, but within the community as well. And it’s been that way pretty much since she got into this business more than 40 years ago. Our story starts in Ohio, where Dietz grew up and later attended Kent State University, majoring in architecture. She was one of just four women in a class of 150. After earning her master’s in architecture from Michigan State University, she worked for a few firms in Western Mass. before partnering with Phil Burdick and launching a firm that would bear both their names. While that venture was short-lived, Dietz would go into business for herself, opening Dietz & Company Architects in 1985. It has been a staple in downtown Springfield ever since, growing from three employees to a high of 28 (currently 23). Over those 34 years, Dietz and her staff have ridden out a number of economic downturns, which are felt in this field perhaps as much, if not more, than any other, and firmly established the firm as a leader in several areas, but especially the commercial, education, and housing realms. 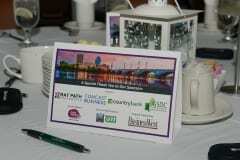 The portfolio of recent projects includes the poker room and restrooms at the $960 million MGM Springfield as well as renovation of 95 State St., MGM’s local headquarters; bankESB’s banking center and corporate headquarters, as well as a number of other projects for that institution; 83 Maple St. in Springfield, the Merrick Phelps House historic preservation project; a new branch for the Bank of Western Massachusetts in Northampton; and many others. In the education realm, the company has designed the UMass Center at Springfield facilities in Tower Square, the Hoffmann Environmental Center at Berkshire Community College, the King & Scales dormitories at Smith College, and numerous renovations and repair projects at Springfield Technical Community College, among countless others. And in housing, recent projects include Parsons Village, multi-family housing in Easthampton; Roosevelt Towers, a multi-family project in Cambridge that is still ongoing; and Highland Woods, a multi-family and senior-housing project in Williamstown, among many others. But while what she and her team have accomplished is certainly significant, it is how Dietz runs her company that sets her apart within the field of architecture — and makes it clear why she is a Woman of Impact. And this brings us back to the company’s 30th-anniversary celebration, and also to that class she taught at UMass and the mindset behind it. Working in concert with Springfield School Volunteers, Dietz & Company invited teachers to visit a website and propose specific initiatives, listing motivations, goals, and possible outcomes. It was competition, but the company had enough money to fund all the requests. There is much that goes into those two words ‘good’ and ‘serves’ — everything from a focus on the environment to meeting the needs of the client; from preserving the past to sustainability. 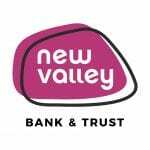 But behind it all is that focus on this firm, and especially its founder, being leaders in the community and setting a tone when it comes to giving back. Indeed, when referring to Dietz, team members consistently use words and phrases like ‘mentor,’ ‘role model,’ and ‘inspiration’ to describe her as well as her approaches to architecture and community involvement. Jason Newman, another project architect, agreed. “From the perspective of a young professional, Kerry’s drive to educate and develop the next generation of architects is as much present in her company as it is in the classroom,” he said. “She continually creates learning opportunities within the context of our work, and does not punish a mistake made with good intention. Newman took the class “Architects as Leaders.” He remembers it opening his eyes to the larger responsibilities of all people in business. That’s always been what Kerry Dietz has been focused on. That’s not the company’s bottom line — although she’s focused on that, too. Rather, it’s the health and vitality of the communities in which she lives, works, and designs buildings. She doesn’t teach “Architects as Leaders” anymore — actually, time doesn’t permit her to do much, if any, teaching these days. But she still lives by that credo, and so does her firm. And that’s a very solid foundation on which to build. Denise Jordan says she was caught off guard — “blindsided” was her exact terminology — when Domenic Sarno, then Springfield’s mayor-elect, asked her to be his chief of staff when he assumed the corner office in early 2008. Not just because she had only recently started working for him on the campaign trail, but also because she had no real idea just what a chief of staff did and what this position might mean for her, career-wise and otherwise. So she researched it the way people research things these days. “I Googled ‘chief of staff,’” she told BusinessWest with a wide smile on her face, adding that her online search was, for the most part, fruitless. Indeed, about the only material she could find regarding that title related to the military. Still desperate for some insight into what a chief of staff does, she said she started watching reruns of The West Wing hoping to get a clue. In the final analysis, she said ‘yes’ to Sarno’s offer without really knowing just what the job entailed and what she would be doing day in and day out. Which turned out fine, because if there was a standard, or traditional, job description for the Springfield mayor’s chief of staff (and there wasn’t, really), Jordan essentially tore it up and wrote her own. Indeed, during her more than 10 years in the post, she was highly accessible and visible (something most mayoral chiefs of staff were not) and also innovative and even entrepreneurial in her efforts to serve the city’s roughly 150,000 residents and represent her boss and his plans for the city. Most everyone remembers how she was front and center after the June 1, 2011 tornado that practically went over the roof of City Hall as it traveled to the south and east across the city, working 45 straight days and assuming a wide variety of duties in an effort to restore order and begin the work of rebuilding. But in many ways, she was like that every one of the nearly 4,000 days she spent as chief of staff for the Sarno administration, displaying the qualities needed to do that job well, but also being a true leader within the community. 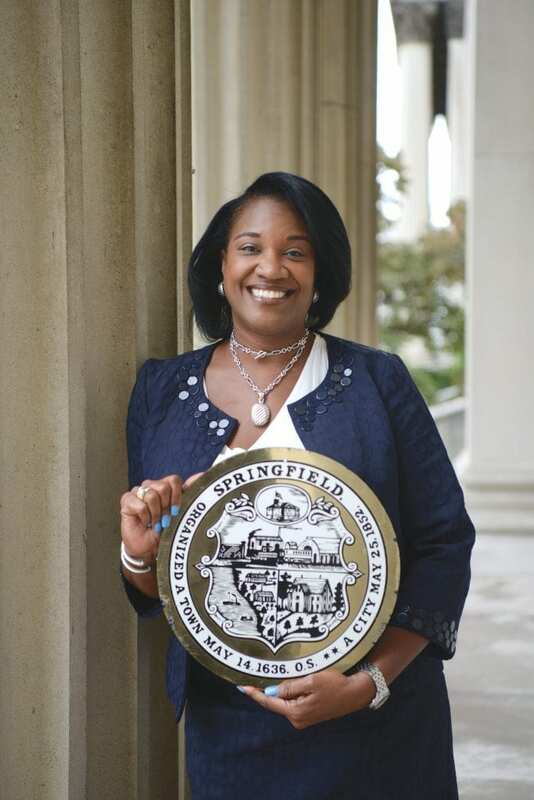 “She was driven, but she also had a great deal of compassion and empathy — and that’s important in this business,” said the mayor, adding that Jordan, now executive director of the Springfield Housing Authority, is recognized as a “voice of leadership” not just for the city but in the region. This explains why she’s been asked to lend her time, energy, and talents to organizations and causes ranging from Rays of Hope (she’s a breast-cancer survivor herself) to Square One; from the Massachusetts Women of Color Coalition to the United Way of Pioneer Valley’s Women’s Leadership Council. And when asked for her working definition of ‘leader’ and what separates such an individual from a manager, Jordan offered a response that explains why she is a Woman of Impact. 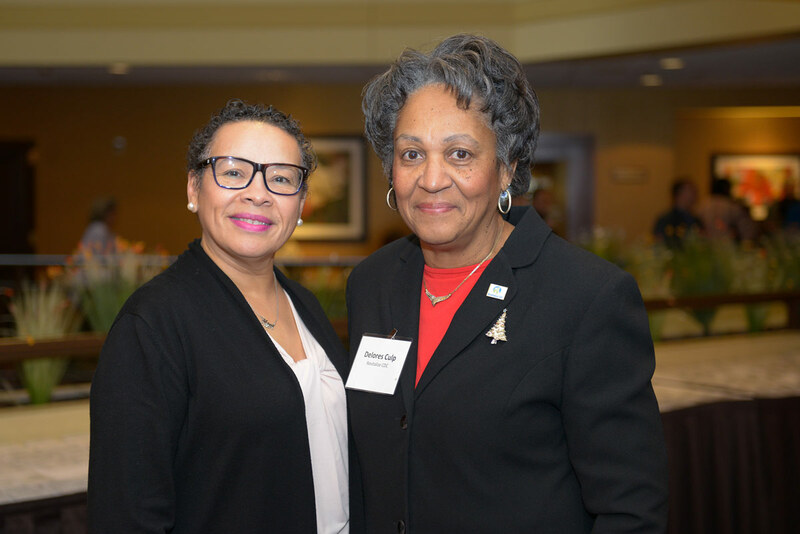 Denise Jordan says she grew up in a “house of service,” and all through her life and career she has made it a priority to give back. Jordan was at the famous civil-rights rally at the Octagon Lounge in Springfield in 1965. Well, sort of. Her mother was several months pregnant with her at the time, and she was there, as was her father, Raymond Jordan, later a long-time state representative, who was arrested that day along with many others. Denise said her parents were a huge influence for her growing up, instilling in her the importance of getting involved and serving the community. Her résumé would indicate that she learned well from her parents’ example. It lists stints as a civil-rights officer with the Executive Office of Health & Human Services in Boston, a variety of posts for the Department of Mental Retardation, starting in 1989, and as a personnel compliance monitor with the Massachusetts Water Resources Authority. But while carrying out those various responsibilities, she was also very active within the community. “I just recall that, ever since I was young, I’ve always been someone who volunteered to do something,” she said. “When I was young, I did all the March of Dimes walk-a-thons, and just volunteered for anything and everything. She said she got her start within the community as a board member for Martin Luther King Family Services, and considered that a springboard to a wide range of service, from chaperone duties for the Martin Luther King Center’s black college tours to a stint on the FutureWorks board; from being a founding member of the Martin Luther King Charter School for Excellence to serving as president of Academic Athletic Arts Achievement Assoc. (5A) Football, a youth football league founded by her father in the mid-’90s. She served for 10 years on the Election Commission and as chair for six years. Under Mayor Charlie Ryan, she served as co-chair of the Youth Commission. All that work within the community caught the eye and the attention of Sarno. Jordan says she knew him, but not personally or very well when he called early in 2009 and invited her to a meeting, at which he revealed his plans to run for mayor and asked for her support. He got it, and after the election that swept him into office, he named Jordan co-chair of his transition team. Not long thereafter, he had a different role in mind. And as noted earlier, one of her first priorities was to make the chief of staff visible and accessible — to a host of constituents, but especially city employees. Just to be clear, there is an official job description for the chief of staff’s job at the mayor’s office. The list of duties is rather extensive and includes everything from representing the mayor in dealings with constituents, city officials, and the business community to overseeing commission and board appointments, to being the mayor’s first point of contact for 2,800 municipal employees. But during a decade-long stretch that saw the tornado and a host of other weather events, a natural-gas explosion that damaged several city blocks, and a seven-year-long effort to bring a resort casino to the city, the position demanded that its holder provide real leadership, and Jordan did just that. Especially in the hours, days, weeks, and months after the tornado tore a path across Springfield seven and half years ago. To Jordan, it seems like only yesterday, and the memories of that period remain etched in her mind. She has vivid recollections from the moments just as the tornado passed almost directly over City Hall, such as gathering in the basement of that structure and later seeing what she described as “mass pandemonium” in Court Square and the area to the south. She also remembers instinct kicking in as she hailed a passing police cruiser and directed the officer to take her to the city’s emergency command center on Carew Street. Sarno said Jordan was one of those leaders, visible as always, doing whatever needed to be done, and acting with that aforementioned blend of drive and compassion. Jordan was brand-new to the Housing Authority position when she talked with BusinessWest. In fact, it was her first day on the job. She said she would approach it the same way she’s approached everything during in her career — by making full use of her strong listening skills, being visible and accessible, and putting those she’s serving first. Soon after Jordan started her work with Sarno’s team in 2008, friends and colleagues threw a party to mark the occasion — specifically her becoming the city’s first African-American chief of staff. And as her time with the mayor was winding down, many of those people decided it was time to throw another party. 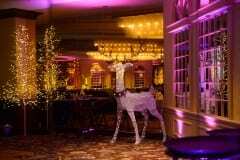 But Jordan, thinking another celebration wasn’t really necessary, decided to transform the event into a fundraiser for Rays of Hope, which this year celebrated its 25th anniversary (she was one of the event chairs). Her goal was $5,000. When she talked with BusinessWest, she had more than tripled that, and checks were still coming in. “I’m beyond excited and overwhelmed … it’s good to be able to give back to an organization,” said Jordan. And she should know; she’s been doing it her whole life. Jordan told BusinessWest that she had to give up her leadership post with 5A Football about a year after becoming Sarno’s chief of staff. As she recalled, her time watching football was devoured by city residents making various requests and demands. ‘Too much’ isn’t a phrase you hear Denise Jordan utter very often. Her career has always been marked by her willingness to take on more, do more, achieve more, and be more of a leader within her community. That’s the job description not for a chief of staff, but for a Woman of Impact, and that’s why she’s a member of the inaugural class of 2018. By the way, she didn’t have to look that title up on Google. Her career’s work defines it perfectly. At the top of the list, obviously, is the remarkable turnaround she has orchestrated at Sunshine Village, the nonprofit agency that operates a wide variety of programs that promote independence for individuals with disabilities. When she took over as interim executive director in 1996, the agency was at a crisis point. Over the next several years, she scripted a compelling recovery story, stabilizing its finances, adjusting its roster of programs, and eventually transforming Sunshine Village into an employer of choice, so designated by the Employers Assoc. of the NorthEast. And while doing all that, she has been very active within the community, especially Sunshine Village’s hometown of Chicopee. 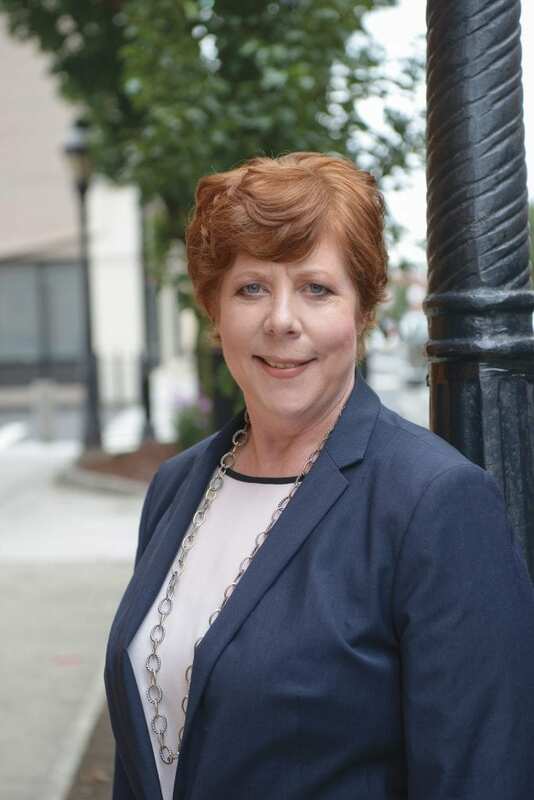 She’s served as a trustee of Elms College and as Chicopee water commissioner, and has also been involved with that city’s Rotary Club and Chamber of Commerce. 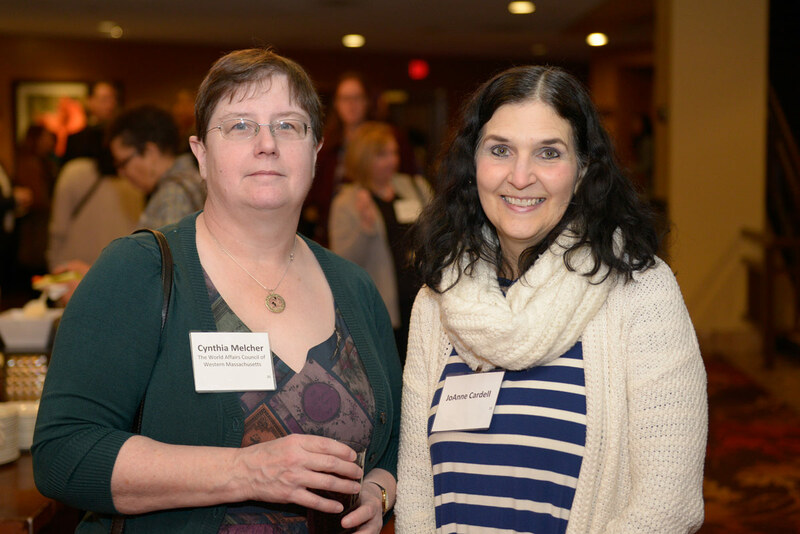 Meanwhile, she’s donated her time, energy, and talents to region-wide nonprofits ranging from Dress for Success to the Regional Employment Board of Hampden County (now HassHire) to Link to Libraries. But over the past several years, she’s managed to add a new wrinkle, a new vehicle for making an impact — one she’s rather proud of, actually. It’s as an unofficial but very valuable advisor to Chicopee’s mayor, Richard Kos, whom, as that surname makes clear, she knows quite well. As Chicopee’s first lady, and even before gaining that designation — they became engaged while he was running for office — she said she’s been acting in a consulting capacity of sorts and introducing the mayor to both people and new opportunities. When asked for examples, she listed everything from her suggestion to offer CPR in the city’s high schools so every student would know it when they graduated, to introducing the mayor’s office to a program called “The World is My Classroom,” which brings students on field trips to area employers, such as Hazen Paper in Holyoke and the Chicopee wastewater treatment plant, for lessons on the environment. She said she’s also helped the mayor with the challenging task of finding individuals to serve on boards and commissions (something she’s done, as noted earlier), and overall has been a “chief strategist,” as she called it. Kos’s assistance to her husband, and all those other forms of involvement, are in keeping with a career-long philosophy of putting her considerable talents to work benefitting not just Sunshine Village and its clients, but the region as a whole. It’s a mindset she sums up quickly and effectively with this comment to BusinessWest regarding the many ways she has become involved. Gina Kos, third from left with her husband mayor Richard Kos, far left, leads a host of guests in ceremonies to commemorate the 50th anniversary of Sunshine Village in 2017. “When you’re given a lot, you have to give back,” she said, adding that she has been given a lot in terms of education and opportunities to serve the region. 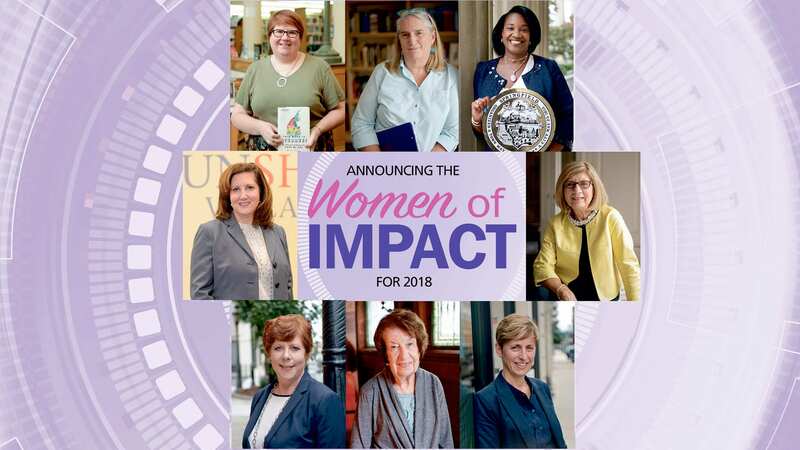 And she has certainly given back — in all manner of ways, from being a forward-thinking leader of a pivotal nonprofit organization at a time of profound change and a host of new challenges for all nonprofits, to valued board member for a host of colleges, universities, and economic-development-related agencies, to mentor for countless staff members. And, yes, as an unpaid advisor to the mayor. Like we said, she has spent her life and career as a Woman of Impact. 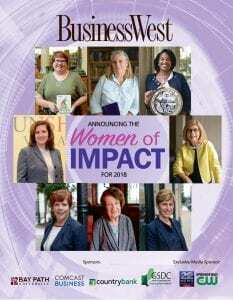 Kos will have to make some room in her office for the award she’ll receive from BusinessWest on Dec. 6. That’s because there’s already a number of other plaques and certificates crowding her desk and credenza. There’s the prestigious Paul Harris award from the Chicopee Rotary Club, given to those who have served not only that organization, but the community as well. 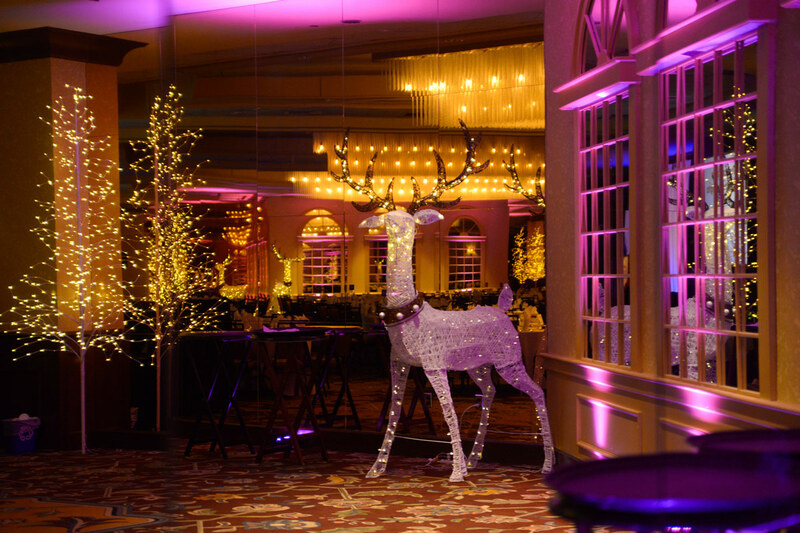 There’s also the Shining Star – Volunteer of the Year award from the Chicopee Chamber of Commerce, the Woman of Achievement award from the Chicopee chapter of the Business & Professional Women’s Club, and the St. Joseph Medal – Distinguished Alumni Award from Cathedral High School, among many others. Together, these honors speak to a career spent giving back, and it’s a pattern that began when she became a mortgage officer with WestBank. And as most know by know, it was while getting involved in the community that Kos became acquainted with Sunshine Village. Indeed, she drove the beer cart at the agency’s inaugural fundraising golf tournament at Chicopee Country Club, and enjoyed the experience so much, she signed up to do so at the next gathering. To make a long story short, by the time players teed it up the following year, Kos was on the course not as a volunteer, but as a member of the Sunshine Village staff — director of marketing and development, to be exact. 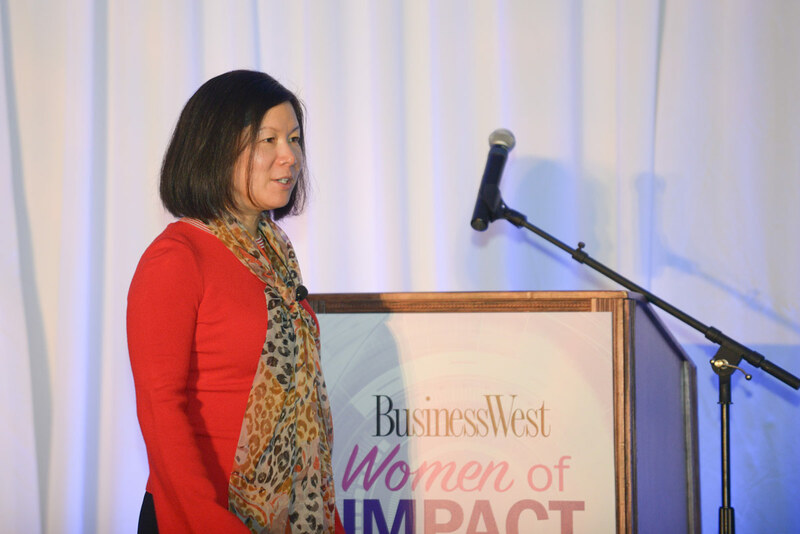 She told BusinessWest that she came on board with a five-year plan in mind — not for the organization, but for herself. And that plan was to give the agency five years and then return to the corporate world. But Kos would essentially make her foray into the nonprofit realm a one-way ticket. As she approached that five-year mark, the executive director left, and the agency’s board asked her to step in as interim. She did, and 22 years later, she’s still at the helm. Kos likes to say that she “right-sized” Sunshine Village, taking it from a $13 million agency with continuous losses to a $6 million operation, to a $13 million entity with continued surpluses. How? Essentially by bringing a more business-like approach to the assignment of running a nonprofit agency, something she said was lacking — and needed — when she changed course career-wise. And while this was a somewhat new way of thinking a quarter-century ago, today, all nonprofits think and act this way, essentially out of necessity, she told BusinessWest. That’s because of a host of changes in the landscape — involving everything from the number of regulations that must be adhered to, to new employment laws regarding everything from wages to paid leave — that have made nonprofit management perhaps more challenging than it has ever been. “If you were to ask me, managing a nonprofit is harder than managing a business,” she opined, “because in addition to everything that business has to worry about, within nonprofits, we have to worry about so many other things; in addition to state and federal labor laws, we have to get accredited by either state or federal bodies, and we have so many more compliance issues because we’re nonprofits. Meanwhile, the broad realm known as giving has changed in many ways, she said, listing everything from the ways people give to the amounts they give, to the growing number of entities asking people to give. “When I was going to school, in parochial school, you had to sell candy bars or magazines,” she explained. “The public schools never had to do this; now, they have to fundraise as well. And so are the kids playing sports and the cheerleaders. And in addition to that, we have all these natural disasters. Ten or 20 years ago, people weren’t asked for money to help the people impacted by a hurricane in Texas. “There’s more people looking for money; all the causes are good causes, but there’s a lot more competition for private fundraising dollars,” she went on, adding that, in this environment, nonprofits must be laser-focused on fundraising, and also on showing donors that their gifts have an impact. 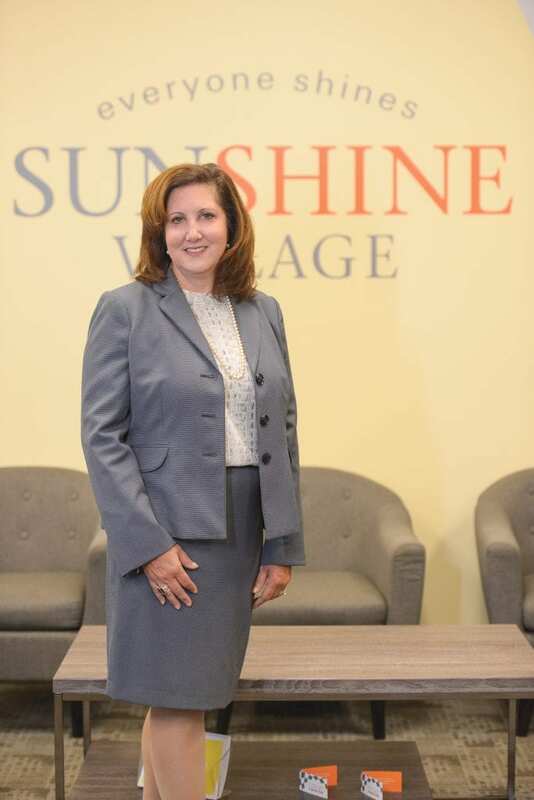 While leading Sunshine Village to financial security and a place as an employer of choice in these challenging times, Kos has continued — and continually elevated — her work within the community. As noted earlier, this has been a priority for her throughout her career, starting when, at age 23, she accepted Mayor Joe Chessey’s invitation to serve on the Chicopee Water Commission. A pattern of involvement has continued, and in her high-profile role as director of Sunshine Village, Kos has been afforded with more opportunities to give back. 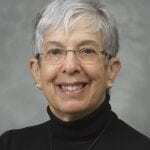 She served on the board at Westfield State University and Elms College, with a host of business and economic-development-related groups, and also with several nonprofits. She reads to fourth graders at Fairview Elementary School as part of Link to Libraries’ celebrity reading program, for example, and serves meals at Friends of the Homeless in Springfield. Each experience is different and brings rewards on a number of levels, she said, adding that, while it’s sometimes hard to do so, she generally makes room in her schedule for such activities. And for many reasons. Helping others is a big part of it, obviously, but by being active, she becomes more aware of the issues and challenges facing the region and the individuals who call it home. This makes her a better manager, a better leader, and even a more effective advisor to Chicopee’s mayor, especially with matters such as personnel searches and filling all those boards and commissions. ‘Chief strategist to Chicopee’s mayor’ isn’t a line on Gina Kos’s résumé. But it is yet another example of how, throughout her life and her career, she has found the time, inclination, and energy to give back to others, and the community as a whole. And that’s why she’ll be at the podium on Dec. 6 accepting her Women of Impact award, and then adding it to a growing collection of other plaques in her office. As she said, “when you’ve been given a lot, you have to give back.” And that’s exactly what she’s done. So begins the nomination of Leary, president of Bay Path University, for the Women of Impact award. It was authored by Kathleen Bourque, vice president for University Relations and board liaison for the school, who, 17 years later, is still there, obviously. In writing her nomination, Bourque captured — probably better than this writer could, although he has done it several times over the past 24 years — not why Leary is worthy of an award, but why she has become an incredible force of progress, hope, and, yes, leadership, on her campus and across the region. That sums things up pretty well, but there’s more, a lot more — well-written and poignant. 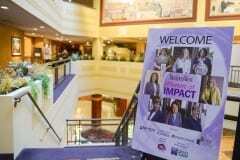 Tremendous impact indeed. Since arriving on the Bay Path campus in 1994, Leary has transformed it from a sleepy — that’s the word many opt to use — women’s college of fewer than 500 students issuing only two-year degrees to a university with more than 3,300 undergraduate women and graduate men and women with a host of graduate degrees. 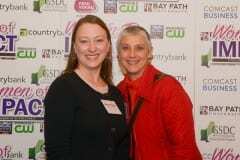 In 2013, Bay Path launched the American Women’s College, the first all-women, all-online baccalaureate program in the nation. That was a big year for the institution, because it was then that it became a university and also opened the Philip H. Ryan Health Science Center for allied-health programs. 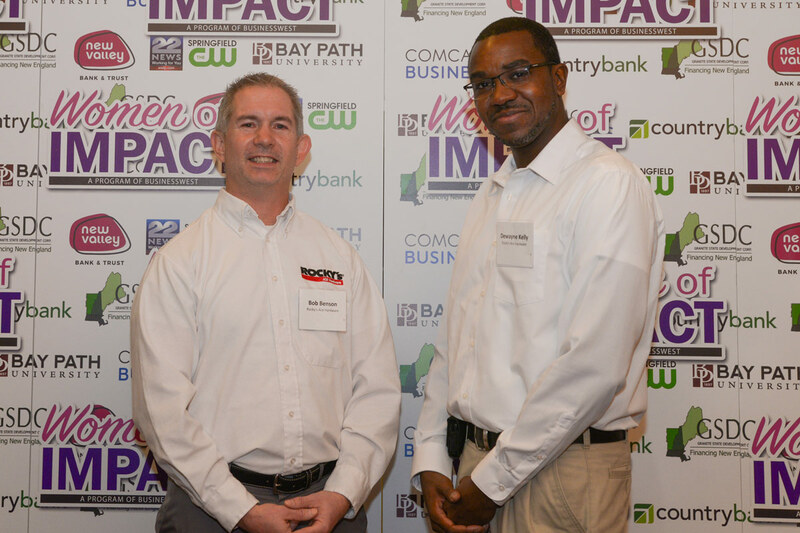 But every year has been big for Bay Path, as growth has been continual and profound — and the same can be said of its reach, especially with the annual Women’s Leadership Conference, which has drawn keynote speakers ranging from Margaret Thatcher to Maya Angelou to Jane Fonda, among many others. But Leary’s influence extends far beyond the campus and the conference. Locally, she’s become involved with agencies ranging from the Community Foundation of Western Mass. to the Beveridge Family Foundation. 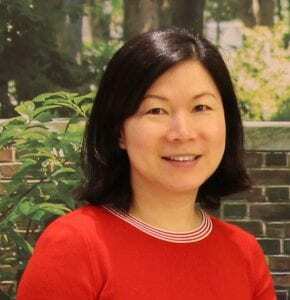 Nationally, she serves as a member of the Department of Homeland Security’s Academic Advisory Council, representing the only women’s college on the council, a strong nod toward the work Bay Path is doing to educate women in the fields of cybersecurity, cybersecurity management, and counterterrorism at both the graduate and undergraduate levels. 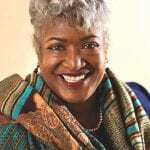 She’s a frequent speaker on subjects ranging from women’s leadership to issues in higher education, and has written a book, Achieving the Dream: A How-to Guide for Adult Women Seeking a College Degree. Asked about it all, Leary said she’s simply leading by example, in all kinds of ways. Indeed, none of her parents or grandparents graduated from high school, but they encouraged her to gain a college education. With it, she has changed her life and thousands of other lives. The message she has for the world — and the force that drives her — is that this is the power of education. 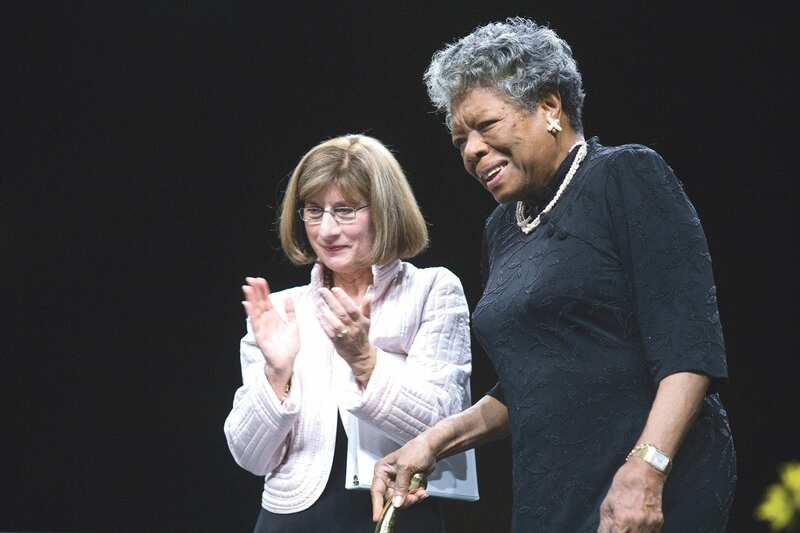 Carol Leary introduces poet Maya Angelou at one of Bay Path’s Women’s Leadership Conferences, one of many new programs and initiatives she has introduced. “One generation later, and you can see the impact of the education,” she said, speaking not about herself, necessarily, but every first-generation college student. “Hopefully, the person has a higher-paying job than they perhaps might have had. And what does that person do with the money? They educate their children, so that generation is assured a better life; they buy a house and pay taxes; they can contribute to their communities with time, talent, and treasure. 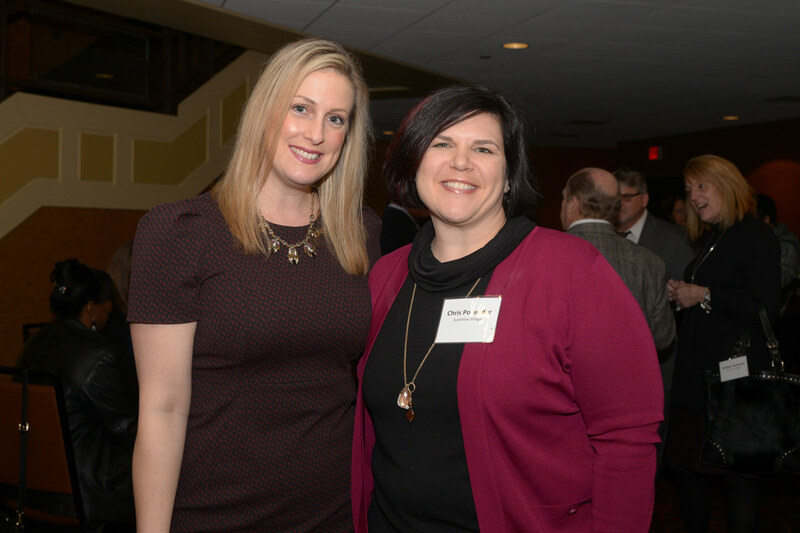 “One person getting their education has inter-generational impact,” she went on, adding that this is the fuel that drives Bay Path and the mission that defines her career. And it also explains why she’s a Woman of Impact. 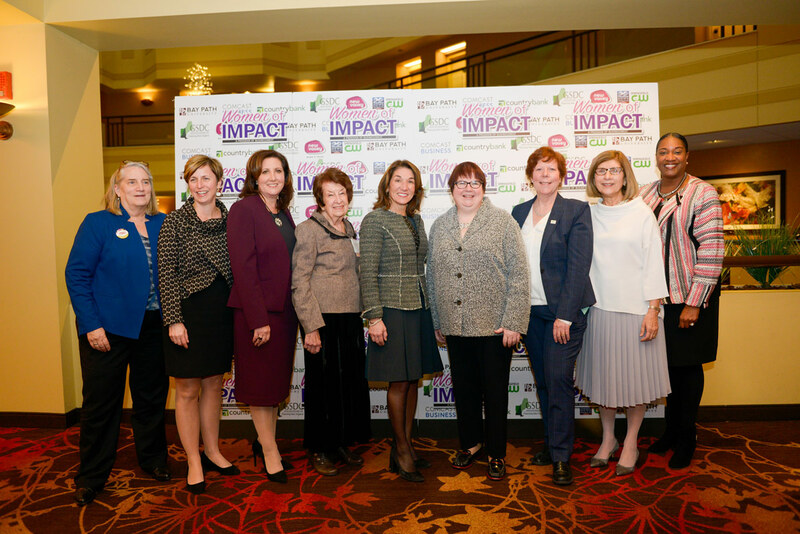 The students in that “Women as Empowered Leaders and Learners” class didn’t know it at the time, but they were providing some very helpful material for this examination of Leary’s life and career and the reasons why she’s been designated a Woman of Impact. 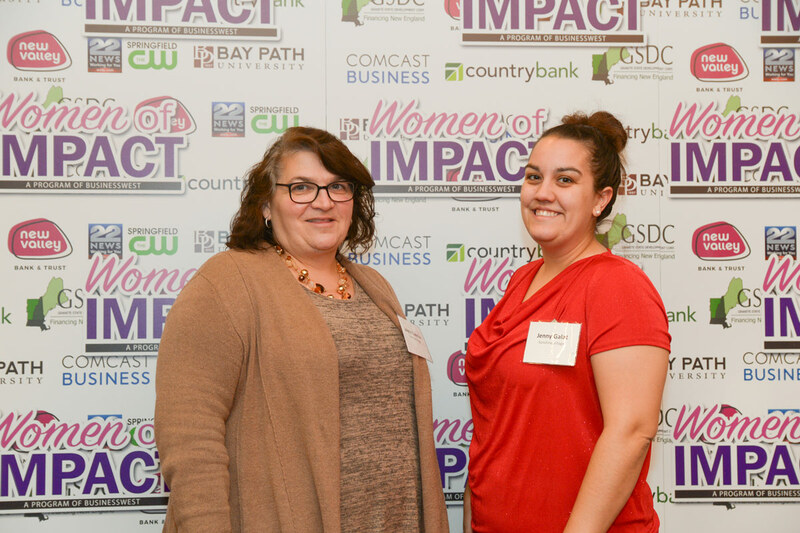 Leary was the guest speaker at the class that day, and as she recalled what transpired for BusinessWest, the highlighted back and forth between her and the students speaks volumes about her view of the world and the mindset she brings to her job and her life. The 12 first-year students were asked to bring questions to ask her. Before they could do that, she had one for them: “I asked them to think about a woman leader,” Leary recalled. “I told them to take 30 seconds and tell me the first person that comes to mind, and then the attributes that makes someone a leader. “Out of the 12, 11 of them said either godmother, mother, sister, cousin, grandmother … and then talked about perseverance, overcoming obstacles, being organized, balancing many balls in the air, and being very supportive,” she said. “And then I thought about how wonderful it was that, in their minds, the women they think of as leaders are everyday women. Making everyone, and especially women, aware of this, and then helping them realize their potential to make a difference would be a quick and effective way to sum up Leary’s life’s work. By now, most people know the story of how, in 1994, Leary, then an administrator at Simmons College in Boston, was encouraged to apply for presidents’ positions, and especially the one at Bay Path, and did so even though she had reservations about whether she was ready to take the giant career leap. 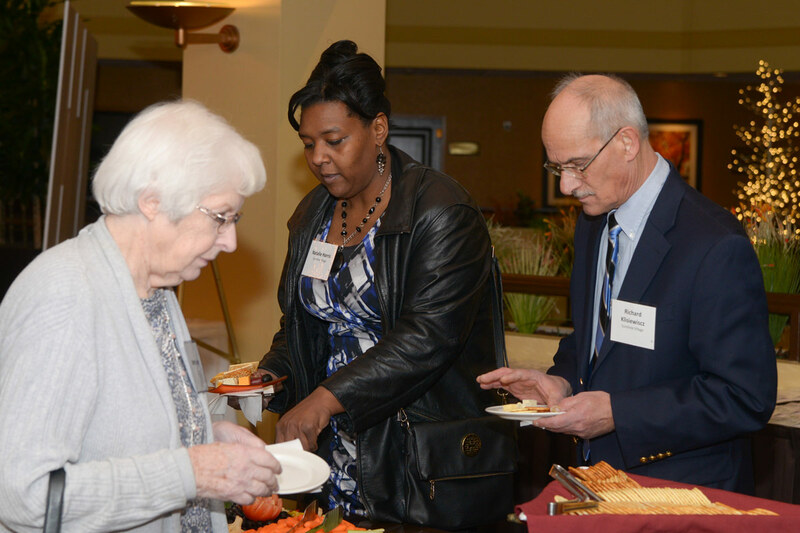 It is now part of Bay Path lore that she and her husband, Noel, were traveling back to Boston from a vacation in Niagara Falls and decided to make a stop at the Longmeadow campus. The two fell in love with just about everything, and Leary took over a few months later. As noted, this was and is a turnaround story in every respect. Leary has taken Bay Path from sleepy to wide awake, and from a school that few outside this region knew about to one that recently hosted 27 colleges and universities from the 37-member Women’s College Coalition to discuss new and innovative learning models for women of all ages and stages of their lives. It’s been a stunning transformation for the once-tiny school that has found its way onto the map and into national prominence. When asked how it was accomplished, Leary mentioned teamwork, collaboration building, and some things the school now teaches in its classrooms — innovation and entrepreneurship. While it’s quite difficult to tell the many facets of Leary’s story quickly and easily, Bourque managed to do so in her nomination with a hypothetical, but in many ways real, day from Leary’s time at Bay Path. Indeed, it is, and that anecdote speaks to the mindset Leary has maintained throughout her career at Bay Path. She has shaken hands with Nobel Prize winners, heads of state, prominent writers, and activists. But she also makes it a point to try to meet every student who comes to the Bay Path campus and learn their name. And when she can, she ventures into the classroom, as she did with that “Women as Empowered Leaders and Learners” class. And her answers to some of their questions reveal more about why she has been named a Woman of Impact and how she has become such a great mentor. When they asked her who supported her and enabled her to achieve her dreams, she started by listing her parents and grandmother, who, despite their lack of education, impressed upon her the importance of school and the notion that she could achieve anything she wanted if she applied herself. And then, she mentioned her husband, Noel, and while doing so, imparted some important advice on her audience. “He encourages me, and he’s given up a lot in his own career because of my career,” she noted. “I gave up a career and moved to Washington for him, and five years later, he gave up his career to move to Boston for me. And that brings her back to her point about education being inter-generational in impact. Suffice it to say that she has. While Leary’s list of accomplishments, accolades, and awards is, indeed, quite long, it would probably be safe to say that her greatest power, her greatest talent, is the ability to inspire others, to make them dig deeper, reach higher, and achieve things they maybe (or probably) didn’t think they could. That’s why Kathleen Bourque put Leary on her very short of people she wanted to work with and for, and why she has stayed at Bay Path for nearly two decades. So it’s fitting that she gets the last word on this subject, sort of. There are countless people, men and women, across this region and now well beyond it, who would say the same thing. 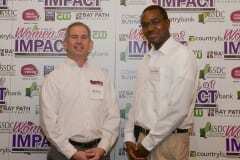 President and CEO of Revitalize Community Development Corp. 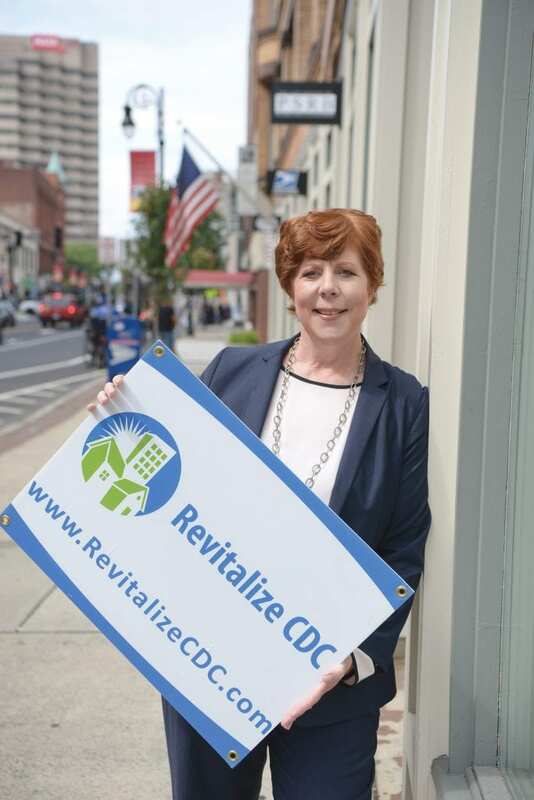 When Colleen Loveless came to Revitalize Community Development Corp. almost 10 years ago, she really didn’t think it would be a long stay. She told BusinessWest that she was definitely looking for something new and different after working in various sales and marketing positions and then running her own very successful international category-management organization, and found all that in the RCDC, or ‘Revitalize,’ as it’s often called. But down deep, she admits going in thinking that this was going to be a temporary gig. “I really thought I’d get bored and move on to something else,” she explained, adding that, overall, she is both entrepreneurial and adventurous when it comes to her career and the paths she might take. Indeed, in a short decade, Loveless has taken Revitalize from an all-volunteer organization working one day a year to a year-round program with an office on Main Street, a handful of permanent employees, and, most importantly, a scope of work that keeps expanding — to the benefit of thousands of area individuals. So much so that, in 2015, BusinessWest awarded the agency (and its director) its Difference Maker award. In a nutshell, the RCDC provides critical repairs, rehabilitation, and modifications on the homes of low-income families with children, the elderly, military veterans, and individuals with special needs. And under Loveless’ strong leadership, it now does all this on an exponentially larger scale. Since she started, RCDC has completed more than 300 home projects with the help of more than 10,000 volunteers and hundreds of sponsors, donors, and collaborators. Thanks to this support, RCDC consistently leverages funding by a ratio of four to one, and has thus invested more than $29 million in value into the cities of Springfield and Holyoke since its inception. While Loveless certainly hasn’t achieved all this on her own, she has been the catalyst for all that growth and expansion of the agency’s mission. It has come about through her leadership and ability to fully and effectively leverage her vast skills in marketing, brand development, and creating partnerships and collaborative efforts. Over the past decade, she has made Revitalize, well, a household name, or household nonprofit agency (literally and figuratively), and taken its work to a plane that most could not have imagined back in 2009. • The ongoing Green & Healthy Homes Initiative, a partnership with Baystate Health, the Public Health Institute of Western Mass., the Pioneer Valley Asthma Coalition, the city of Springfield, and Square One to perform interventions and improve housing conditions. While humbly acknowledging her role in what has been accomplished to date, Loveless, not surprisingly, is looking at what might come next, and additional opportunities to expand the RCDC’s reach. Specifically, the agency has been awarded a three-year, $730,000 grant from HUD (the federal office of Housing and Urban Development) to repair and rehab homes owned by veterans across the state. 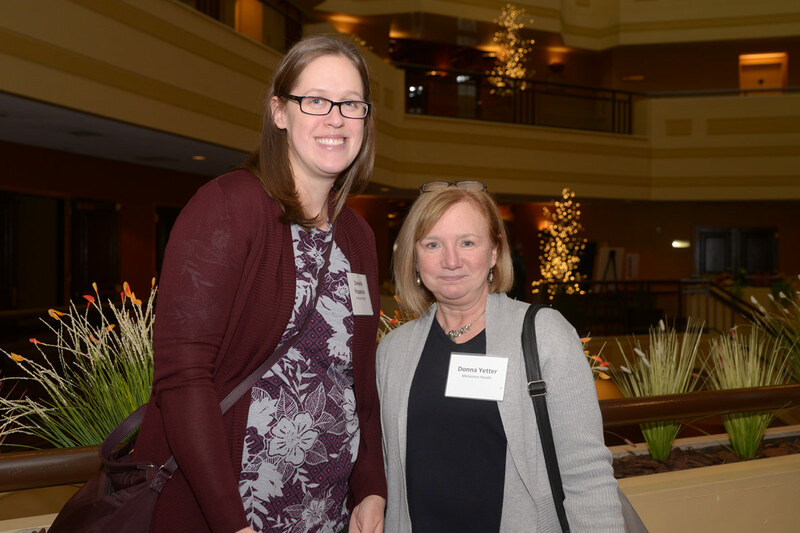 That new endeavor was announced at the RCDC’s annual fundraising event for JoinedForces on Nov. 1, and it is only the latest example of how Loveless has been relentless in her efforts to expand the agency’s reach and positively impact more than lives. And that commitment, even more than the stunning results achieved under her watch at RCDC, explains why she is a member of this first class of Women of Impact. As noted earlier, Loveless was enjoying a good deal of success in marketing and as an entrepreneur before she came to the RCDC. 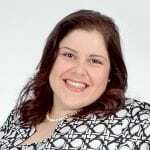 Armed with a bachelor’s degree in marketing and an MBA (both from Western New England University), she worked in various sales and marketing positions for HP Hood in Boston, the Nutrasweet Company (a division of Monsanto) in Chicago, and Heublein (wine and spirits) in Hartford. Colleen Loveless says she likes running the RCDC more than she does her own business, and admits that not many entrepreneurs can say that. She then started her own business, called Popmax International, with Popmax being short for point-of-purchase maximization. Working for clients such as Colgate Palmolive, Stanley Tools, and Friendly’s, and breaking ground in digital photography as she did so, Loveless would, as the name on her company suggests, help them maximize space on store shelves as well as other presentation challenges. While still operating her business — and also doing some rehabbing of rental properties as another entrepreneurial venture — she took a part-time job with Valley CDC in its small-business technical assistance program. In that role, she was helping small-business owners and fledgling entrepreneurs with marketing, business plans, help with getting loans, and other forms of technical assistance. With that affliction, if one can call it that, the position of president and CEO of the RCDC caught her attention — and kept it. Summing things up, Loveless said the opportunity was attractive on a number of levels — it was a nonprofit, but it was also a startup business in many respects, and one where she could put her many talents to work for a cause she firmly believed in. “They wanted me to make it a year-round organization and open our first office,” she explained. “And I knew it would really take all of my skills. ‘This was a startup,” she went on. “I used my entrepreneurial skills and also used my construction and rehab skills. And I also put my sales and marketing skills to work — I have an undergraduate degree in marketing. What she loves is, well, all aspects of this job, but essentially the ongoing work to build it and expand its mission, positively impacting the lives of ever more area residents as she does so. 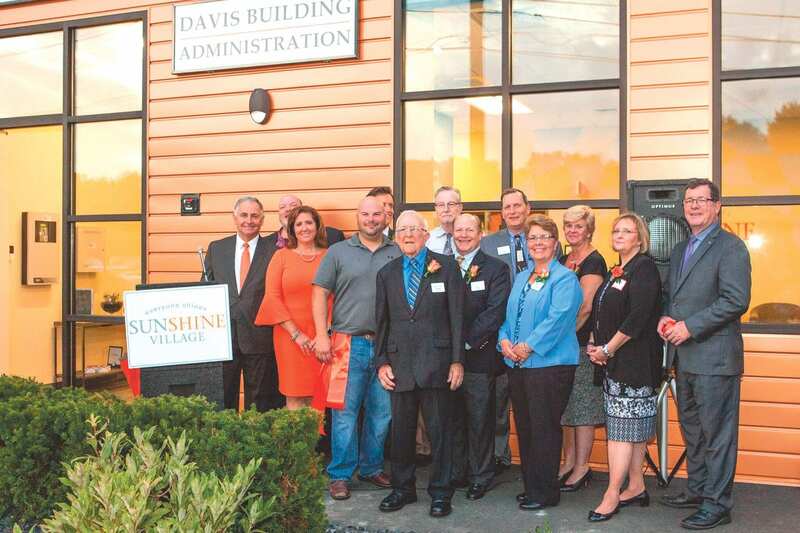 She started small, in a suite in the Scibelli Enterprise Center in the Technology Park at Springfield Technical Community College, and roughly a year later moved into a suite of offices on Main Street that would narrowly avoid the tornado that roared down that thoroughfare on June 2011, but that would ultimately change the path of the RCDC’s mission, at least temporarily. Indeed, after a year of carrying on as a volunteer organization, the RCDC was developing blueprints for becoming far more structured and focusing more of its efforts on healthy housing, specifically with regards to asthma. Loveless was meeting with various groups, such as the Asthma Coalition, when the tornado tore through several neighborhoods in the city. Since work on tornado-damaged homes was completed, the RCDC has refocused its energies on what eventually became the Green & Healthy Homes Initiative, expansion into Holyoke, and completion of the GreenNFit project in Old Hill, which is now officially ahead of schedule with just one block left to do. The assault on asthma, still in its pilot phase, has been extremely rewarding work, said Loveless, because it yields benefits on a number of levels. And with Baystate recently receiving a $750,000, 18-month grant from the Health Policy Commission, another 150 homes will be rehabbed, with the RCDC as the lead housing agency in the initiative. As for the GreenNFit project, it is the RCDC’s signature event, drawing more than 1,000 volunteers for an intense day of work in Old Hill. Soon, a new neighborhood will be targeted for improvements, said Loveless, adding that, similarly, volunteers convene in Holyoke (the most recent gathering was Oct. 18) for improvements to a block there, in an endeavor called #GreenNFitHolyoke. All this success has led to the Difference Maker award and a host of other honors and accolades for RCDC and its executive director. The biggest reward for Loveless, though, is being able to take a lead role in efforts that are literally changing lives — and inspire others to follow that lead. “It’s a matter of being creative, being open to change, being flexible, but also being enthusiastic,” she said when talking about one of the most important aspects of her job description. “Energy — positive energy and negative energy — are contagious, and I feel like a pretty optimistic person. Nor can you easily buy the kind of leadership and direction that Loveless has given this organization — and the region as a whole — over the past decade. It should be clear by now that, despite her early forecasts, Loveless has never become bored with her work at the RCDC. Instead, she seems to become more energized — and more entrepreneurial — with each passing year. The woman who has always been good at sales and marketing has sold the organization and its mission to the region, and enabled it to significantly expand its reach and its mission in the process. As noted earlier, Loveless hasn’t done this alone. She’s had help from countless corporate partners, other nonprofit agencies, and thousands of volunteers ready to roll up their sleeves. But those contributors needed someone to lead and someone to inspire them. And Loveless, as a Woman of Impact, has certainly done that. Executive Director, HCS Head Start Inc.
It’s called the Goodhue House — because it was built in the early 1890s by local contractor Charles Goodhue as his primary residence — but most know it as the Putnam mansion, the home to Springfield Mayor Roger Putnam until the 1950s. Whatever name it goes by, the property at the corner of Central Street and Madison Avenue was and is one of the largest private residences ever built in Springfield. Today, it’s the headquarters building for HCS Head Start Inc., and Janis Santos, executive director of that agency for nearly 40 years, often has to pinch herself to make sure this is really home. That’s because her involvement with Head Start goes back almost to the very beginning, when the organization was created as part of President Lyndon Johnson’s multi-faceted War on Poverty. In those early days, the digs were much, much different. But as she talked with BusinessWest and later offered a tour of the Goodhue House, pointing out such things as the former master bedroom (now the conference room), what once were servants’ quarters, and a large room that once housed a music conservatory, Santos said that much more has changed over the past four decades or so than the accommodations. And she has been at the forefront of, and a catalyst for, practically all of it, becoming what those who have worked with her over the years — directly, as an employee, or indirectly, as a state legislator or municipal official in one of the communities served by HCS Head Start — call a true pioneer in the field of early childhood education. 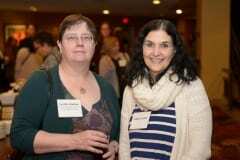 “Janis has led the charge, ensuring that children from vulnerable backgrounds have access to high-quality early learning, and has helped to legitimize and professionalize the field,” said Susan Gosselin, chair of the HCS Head Start board of directors, who began her teaching career at that aforementioned facility in Ludlow; Santos was her supervisor. “She began teaching at a time when the greater public viewed her career as babysitting, and today early education is a highly valued profession, and there is a better understanding of brain development and the importance of the early years. These days, Santos admits she’s frequently asked about retirement and whether she’s ready for it, and noted that her answer is always a quick and firm ‘no.’ If anything, she’s probably picking up the pace a little (if that’s possible) and doing more of that aforementioned pinching. Indeed, recent initiatives, ones that make the Goodhue House rather old news, include a partnership with MGM Springfield that culminated in the opening this fall of the $4 million MGM Head Start Child and Family Center on Union Street. And in September, she presided over the groundbreaking ceremonies for an ambitious, state-of-the-art Educare School for preschool-aged children, a $14 million facility slated to open next year. Meanwhile, she’s working on the front lines of efforts to improve access to preschool and increase the salaries for preschool educators, necessary steps, she said, toward better preparing children for school — and all that will follow (more on that later). Santos, who said she had a few very important mentors while she was young, including an English teacher who insisted on calling students by their last names — hers was Johnston, and her teacher called it out several times a day as she implored her charge to work harder and reach higher — now counts mentoring as a large part of her job description, especially when it comes to employees. This role comes naturally because, in most all respects, she has been where they are — as a young early-education teacher struggling to do that work while raising children at home — and is now (serving as an innovative, entrepreneurial administrator) where they want to be. When asked about what she tells those she manages and mentors, she summed it up quickly and effectively. “I tell them that change is important — if we don’t change, we won’t succeed,” she explained. “When there are new ways of doing things, new curriculum, always be thinking outside the box. 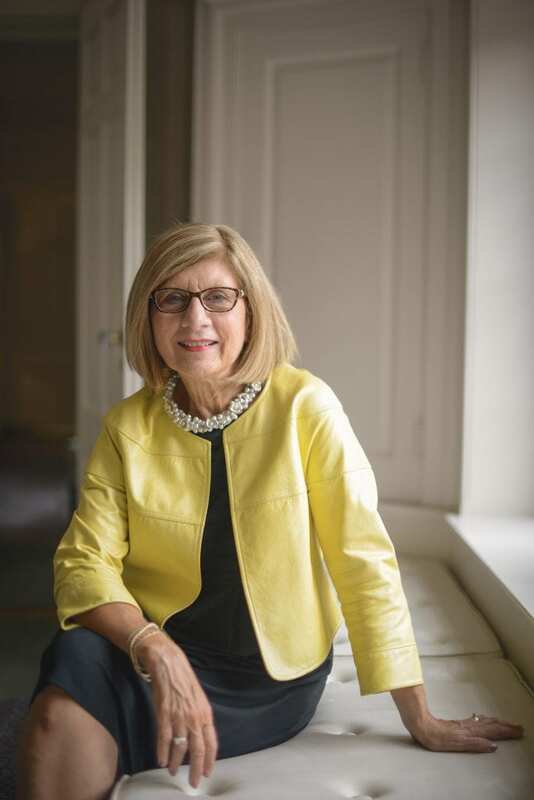 Janis Santos has always followed her own advice, and that’s why, for a half-century now, she’s been a true Woman of Impact. That’s been her style throughout her career, and while those four words sum it up pretty well, we’ll let her elaborate. And while she’s an administrator now and has been for decades, she says that, in her heart, she will always be a teacher and takes on that role in many different ways now, inside, but mostly outside, the classroom. Janis Santos likes to say she “manages by walking around,” which includes regular sessions where she reads to children. This has been her MO since she started with Head Start back in 1973, managing a small facility in Ludlow that, as she noted, was located in the basement of the Boys Club. 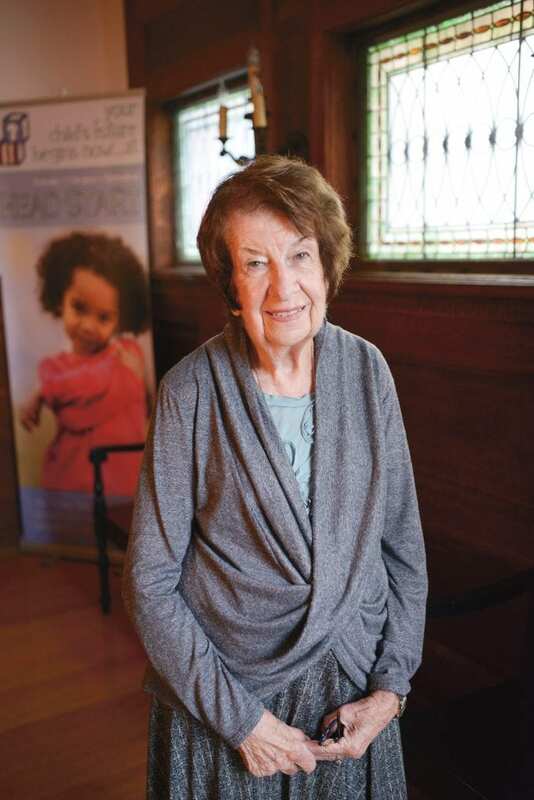 In 1979, she was hired as executive director of Holyoke-Chicopee Head Start, and has presided over profound growth; indeed, the agency now has 17 sites and provides early education to more than 1,000 children, making it the second-largest Head Start in the Commonwealth. Holyoke-Chicopee Head Start expanded into Springfield in 1996 when, after the agency that was running the Head Start in that city lost its federal funding because it wasn’t complying with regulations, it successfully bid for that license. And with that contract came a directive to find better space, she recalled, adding that a Realtor eventually brought her to the Goodhue House for a look. Actually, Santos was one of the Head Start leaders who pushed legislators to change the laws on the books and thus enable the agency’s facilities to move out of church basements, and that’s just one example of her leadership efforts within the organization. Indeed, she has served as chairperson of both the Massachusetts Head Start Assoc. and the New England Head Start Assoc., and was a member of the National Advisory Panel for the Head Start 2010 Project in Washington, D.C. in 1999. She also served as vice chair of the National Head Start Assoc. board from 2007 to 2014. As she talked with BusinessWest about the organization, where it’s been, where it is today, and where it hopes to go in the future, Santos relayed some of the thoughts on those very subjects that she had left with the Rotary Club of East Longmeadow a few days earlier, a talk she gives to a number of groups over the course of a year. During that quick speech, as she called it, she described Head Start as a holistic agency, one that focuses on children, obviously, but also parents, and therefore families. Supporting just the children but not the others is unproductive, she said, adding that, overall, Head Start emphasizes everything from the health and nutrition of all members of a family to helping parents attain their GEDs so they can join the workforce. “I told members of that Rotary Club that there’s a perception out there that low-income parents don’t want to work — they want to stay home and collect welfare, that sort of thing,” she said. “In Head Start, we know that’s not exactly true. We have many young parents … many of them have dropped out of school; we help them get their GED. Over the years, Santos has been that someone to believe in others and to mentor them, especially staff members at Head Start. They are the lifeblood of the organization, she said, adding that, overall, while she’s seen a great deal of progress at Head Start and the larger early-education realm during her career, there is still a great deal of work to do in terms of making this field attractive to young people, especially men. “Historically, this has been a field dominated by women, in large part because of the low wages paid,” she said, adding that men are needed because so many young children don’t have a father figure in their lives. “Finding male teachers is very hard,” she explained, adding that retaining them is equally challenging. She related the story of one male teacher who resigned just a few days earlier; he loved what he did but couldn’t afford to keep on doing it, said Santos, adding that he left to become an apprentice with what she described as a sprinkler company. That story, and many others like it, make it clear that, while much progress has been made since Head Start was created, there is still a long way to go. In short, while many people no longer regard early childhood education as babysitting, people in the field are still paid as if they were babysitters. Suffice it to say that Santos is fighting hard to bring salary levels higher, and she will continue that fight. 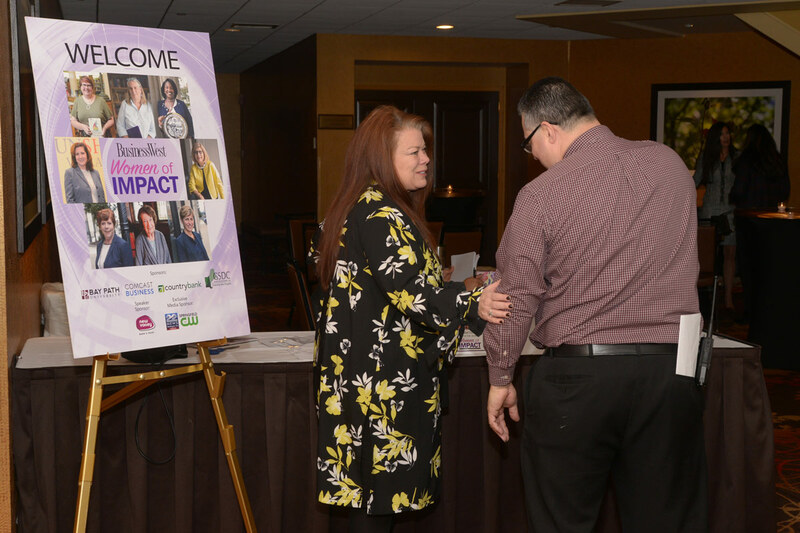 She told BusinessWest that legislators have passed several modest increases recently and remain champions of early education, but continued improvement is still the top priority within this industry. 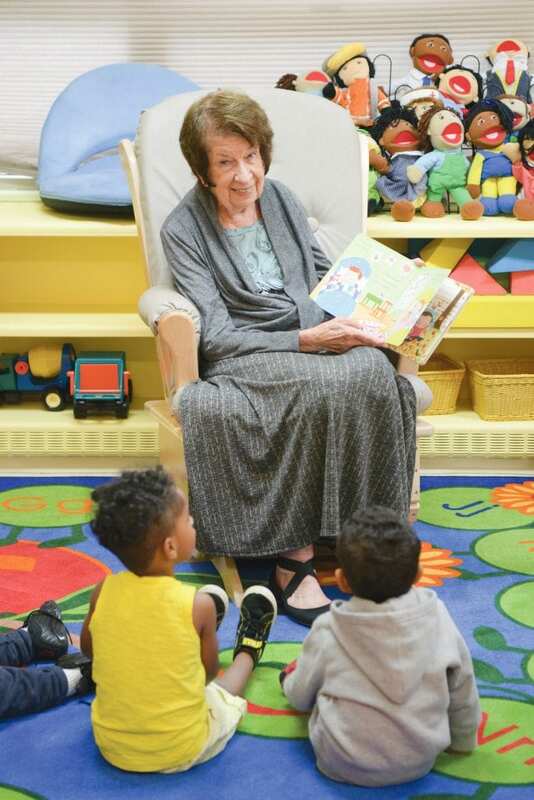 And while she said there have been many achievements of note since the early ’70s — for her and the early-education community — she’s always focused on the future, not the past. And the future is represented in those two new projects in Springfield — the MGM Head Start Child & Family Center and the Educare school, both of which help show how far early education has come since it was still considered babysitting and classrooms were carved out of church basements. While offering that tour of the Goodhue House, Santos made a number of stops — the second-floor porch with a commanding view of the city, the sitting room shaped like the bow of a ship (Mayor Putnam was in the Coast Guard), the elaborate front door, the grand staircase, and much more. Yes, Head Start has come a long way since it was occupying donated space in church basements — in ways far beyond the mailing address of its facilities. Janis Santos has been instrumental in achieving all of that, and while she’s proud of what’s been accomplished, she’s always looking toward what’s coming around the next bend, at what challenges remain to be addressed, at what new trails can be blazed. That’s what true pioneers — and Women of Impact — do, and she has certainly set a high standard for others to follow.